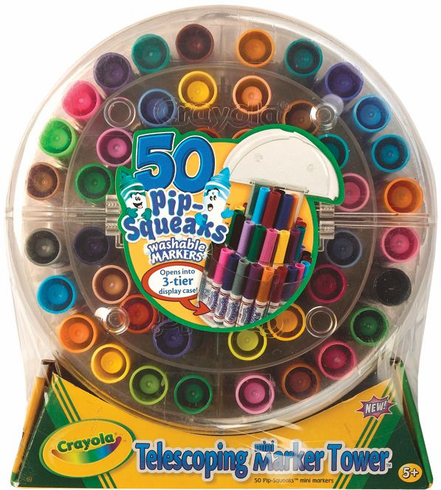 The largest variety of Pip Squeak Markers ever, all stored in an easy access three-tier tower. This huge selection of 50 kid-friendly washable, nontoxic mini markers, with over 20 new colors, are easy to reach in a smart tower design. Tower folds down for easy storage.